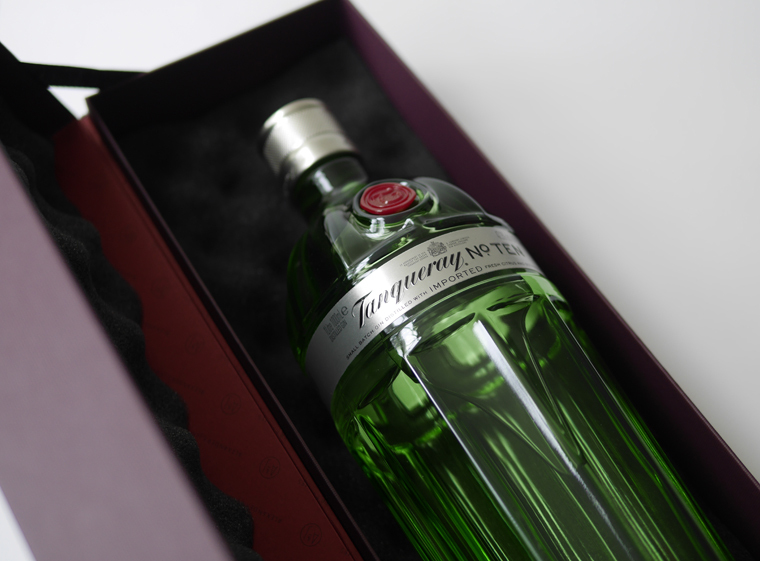 You may remember that recently I was sent the Alexander & James Tanqueray No. 10 gift set to review as a potential gift for Father’s Day. The set includes two special gin coupes and a litre bottle of premium gin. 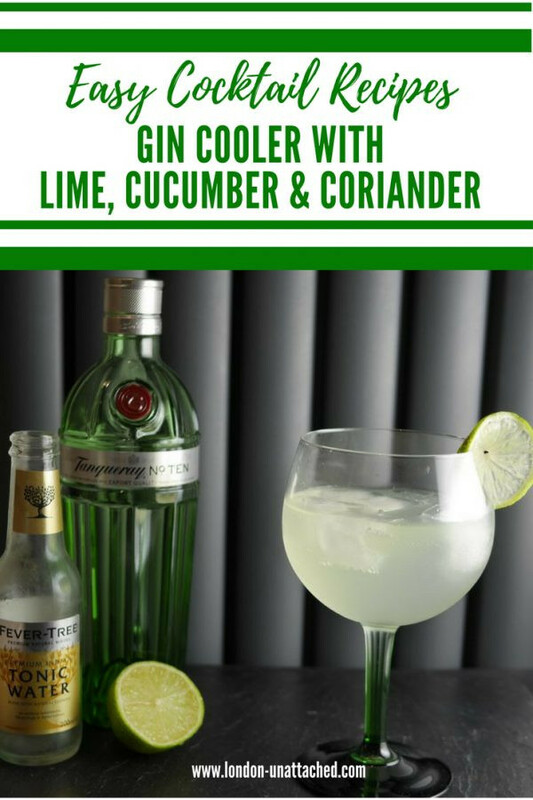 As it is just a little hot, I’ve used it to make a Gin Cooler – a Cucumber and Gin based cocktail that is wonderfully light and refreshing. 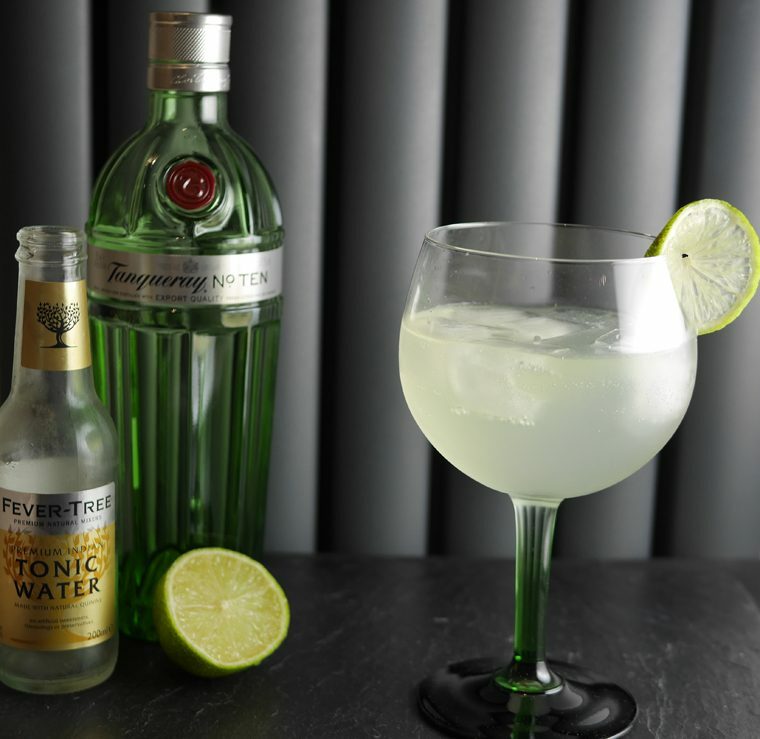 Scroll down to find out how to make a Gin Cooler – I think Tanqueray No. 10 is the perfect gin to use. Everything arrived beautifully packaged so that it can be gifted easily. And, the glasses are the perfect way to serve a Gin & Tonic. I particularly love the fact that Alexander & James have put together things which really work together. 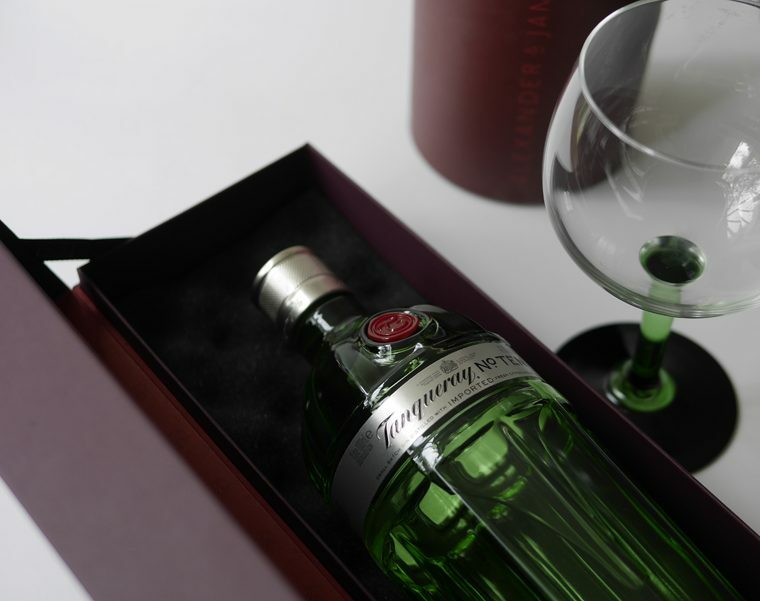 It makes for the perfect gin gift, whether that’s for your father or for someone else who just loves good quality gin. The result is that I’m filled with enthusiasm for Gin right now, so having started by making a classic Gin and Tonic, I’ve moved on to creating my own cocktails, starting with this Gin Cooler that would be absolutely perfect for a warm summer’s evening. My Gin Cooler is a mixture of Tanqueray No. Ten gin, Tonic, Lime Juice and muddled cucumber and coriander. You could actually serve it without the tonic, in a martini glass. But, for my money, it makes a wonderfully refreshing summer drink with the addition of ice and tonic water. So, I’ll continue making my cucumber based gin cooler this way. a subtle gin cocktail for a hot summer's day. Tanqueray number 10 with coriander, cucumber, lime and ice. garnish with a slice of lime or a twist of cucumber. This drink looks lovely. I need to try the recipe out. Yum recipe sounds great thanks! Fever Tree is my favourite tonic water. Now that the main brands replace some of the sugar by sweetners, I cannot drink tonic water anymore. I can’t think of anything better on a summer’s night. Love the recipe! It sounds very cool and refreshing! Thanks Stevie – perfect for SF too I would think!